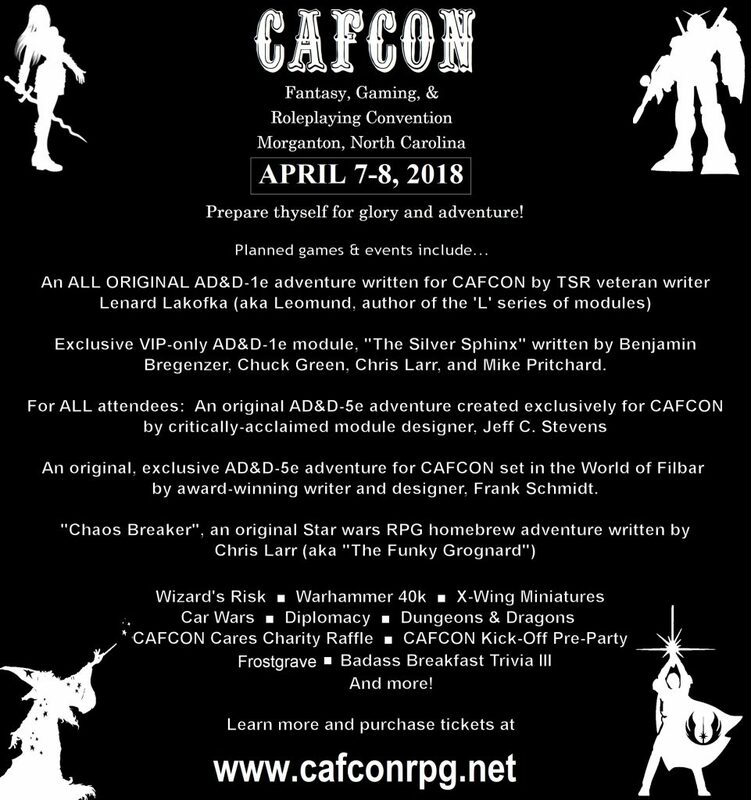 Held annually in the foothills of the North Carolina Appalachian Mountains, CAFCON Fantasy, Gaming and Roleplaying Convention brings together great personalities, fantastic games, and awesome fun! Whether you are into card games, tabletop board games, or RPGs, CAFCON will have what you are looking for. Join us April 7-8, 2018, for we have games and events that will both challenge and entertain you. Our mission at CAFCON is celebrating the player and the game. Always has been… and always will.